Two historical storylines, great evil, and an abiding mystery combine into one sinister and memorable fairy tale for the stout of heart. 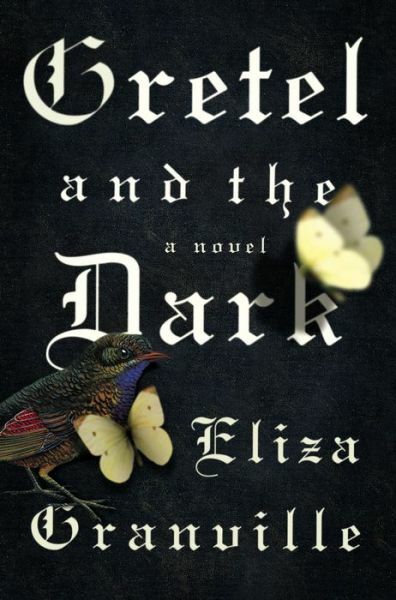 As the title Gretel and the Dark suggests, Eliza Granville’s debut novel is a grim, spooky fairy tale. But keeping with the nature of any good fairy tale, there is another layer: it is also a meditation on historical good and evil, set both in Nazi Germany and fin de siècle Austria. In 1899, a shockingly beautiful young woman is rescued off the street and delivered to the home of celebrated Viennese psychoanalyst Josef Breuer. She claims to have no identity, so the besotted Josef calls her Lilie, a name that will come to have greater significance than he originally intended. She is emaciated, bruised and beaten, hair shorn, with numbers inked on her arm. The story she tells is simply not possible: when questioned, Lilie tells Josef that she is not human but a machine, sent to kill a monster, whom she must find before he grows too large. She frightens him with her dreamy fantasies of how she’ll do it–“it doesn’t take long to kick someone to death”–but she casts an irresistible spell, and Josef (and his equally smitten gardener) is driven to puzzle out the truth of her history and the abuses she has experienced. In the parallel plot, told in alternate chapters set several decades later, a little girl named Krysta pouts as the world around her changes. Her father works in a “zoo” during the days and can’t stop washing his hands at night; she is surrounded by unfriendly people, and retreats into her imagination to avoid the hazards and hatred she can’t understand. As her personal situation deteriorates and her circle of trusted acquaintances shrinks, Krysta hopes to save herself using the fairy tales on which she was raised–even, or especially, the nasty ones, with wolves, witches, beheadings and gore. In precise balance and crafted in lovely, lyrical language, Gretel and the Dark is a masterpiece of fantasy, horror, childhood innocence and the evils of both our innermost imaginings and our shared history. Deliciously chilling and both fantastical and gravely real, with momentum building throughout, Granville’s extraordinary debut holds its crucial secrets to the last, adding suspense to its virtues. The connection between the not-entirely-likeable little Krysta and the enigmatic Lilie remains an open question until the final pages, and the power of imagination and storytelling is a prominent theme. This chilling, fantastical tale will simultaneously entertain and provoke serious contemplation on the depths of human depravity. This review originally ran as a *starred review* in the October 7, 2014 issue of Shelf Awareness for the Book Trade. To subscribe, click here, and you’ll receive two issues per week of book reviews and other bookish fun!